A rare clay seal found under Jerusalem's Old City appears to be linked to religious rituals practiced at the Jewish Temple 2,000 years ago, Israeli archaeologists said. The coin-sized seal found near the Jewish holy site at the Western Wall bears two Aramaic words meaning "pure for God." Archaeologist Ronny Reich of Haifa University said it dates from between the 1st century B.C. to 70 A.D. — the year Roman forces put down a Jewish revolt and destroyed the second of the two biblical temples in Jerusalem. 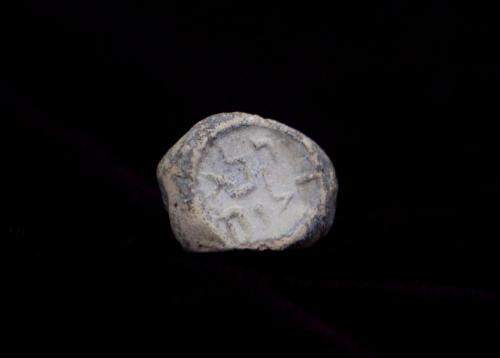 The find marks the first discovery of a written seal from that period of Jerusalem's history, and appeared to be a unique physical artifact from ritual practice in the Temple, said Reich, co-director of the excavation. Very few artifacts linked to the Temples have been discovered so far. The site of the Temple itself — the enclosure known to Jews as the Temple Mount and to Muslims as the Noble Sanctuary — remains off-limits to archaeologists because of its religious and political sensitivity. Archaeologists say the seal was likely used by Temple officials approving an object for ritual use — oil, perhaps, or an animal intended for sacrifice. Materials used by Temple priests had to meet stringent purity guidelines stipulated in detail in the Jewish legal text known as the Mishna, which also mention the use of seals as tokens by pilgrims. The find, Reich said, is "the first time an indication was brought by archaeology about activities in the Temple Mount — the religious activities of buying and offering and giving to the Temple itself." The site where the seal was found is on the route of a main street that ran through ancient Jerusalem just outside the Temple compound. 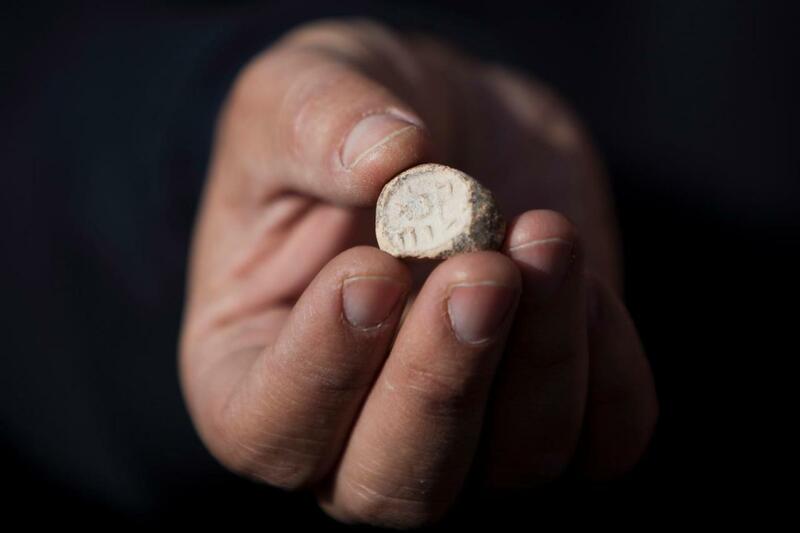 Aren Maeir of Bar-Ilan University, a biblical archaeologist not connected to the dig, said the seal was special because it "was found right next to the Temple and is similar to what we see described in the Mishna." "It's nice when we can connect an activity recorded in ancient sources with archaeological finds," he said. The seal was found in an excavation run by archaeologists from the government's Israel Antiquities Authority. The dig is under the auspices of a broader dig nearby known as the City of David, where archaeologists are investigating the oldest part of Jerusalem. The City of David dig, located inside the nearby Palestinian neighborhood of Silwan and funded by a Jewish group affiliated with the settlement movement, is the Holy Land's highest-profile and most politically controversial excavation.